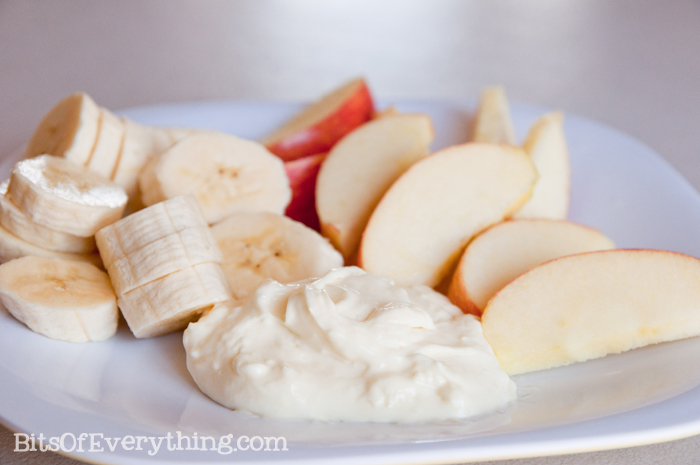 When I need a snack that feels a little healthier, I like to make some fruit dip. This is an easy way to get my kids to eat LOTS of fruit. Whip cream cheese, add marshmallow cream and orange juice. Whip. Serve with any fruit. Enjoy! Hi! I´ve found your blog on Mirys´s blog from Brazil and i really like it. Great tip! I´ll try to make it. Kisses and God bless u!